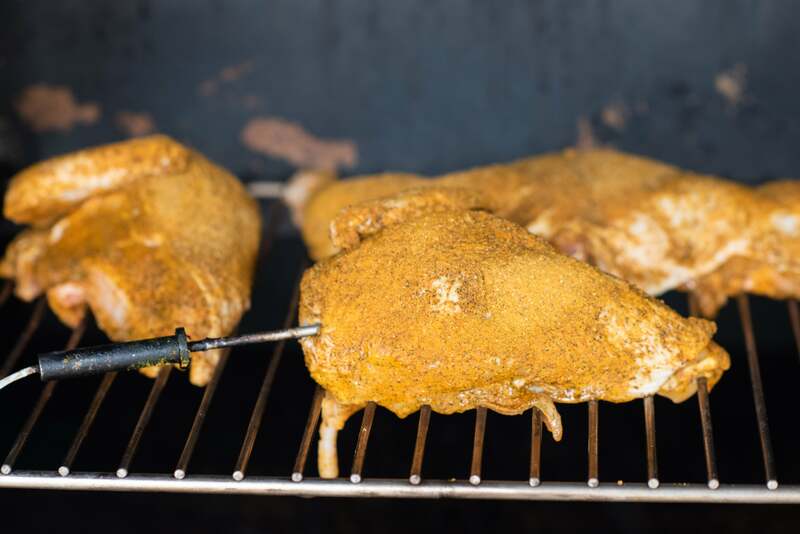 Meat takes smoke better at lower temperatures but the skin needs higher temperature to crisp up, so this recipe uses a two-step approach where we smoke the chicken first, then we finish it on a grill. Thaw chicken and decide on whether you want to cook it quartered or whole. The decision process is more important at the grilling stage than the smoking stage. 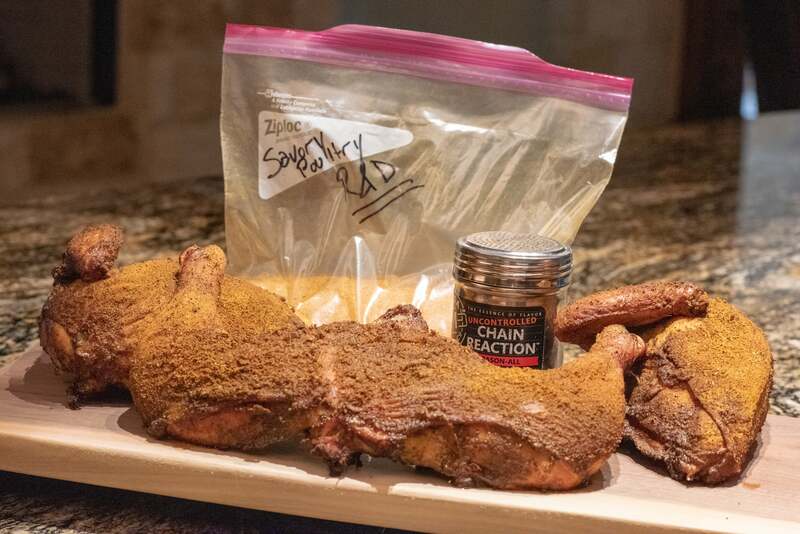 If you cook it whole, you will need something to sit the chicken on to keep it upright during the grilling process or some other way to help ensure an even cook on the grill. Preheat your smoker to 160F. Remove giblets, neck, and excess fat from the chicken. 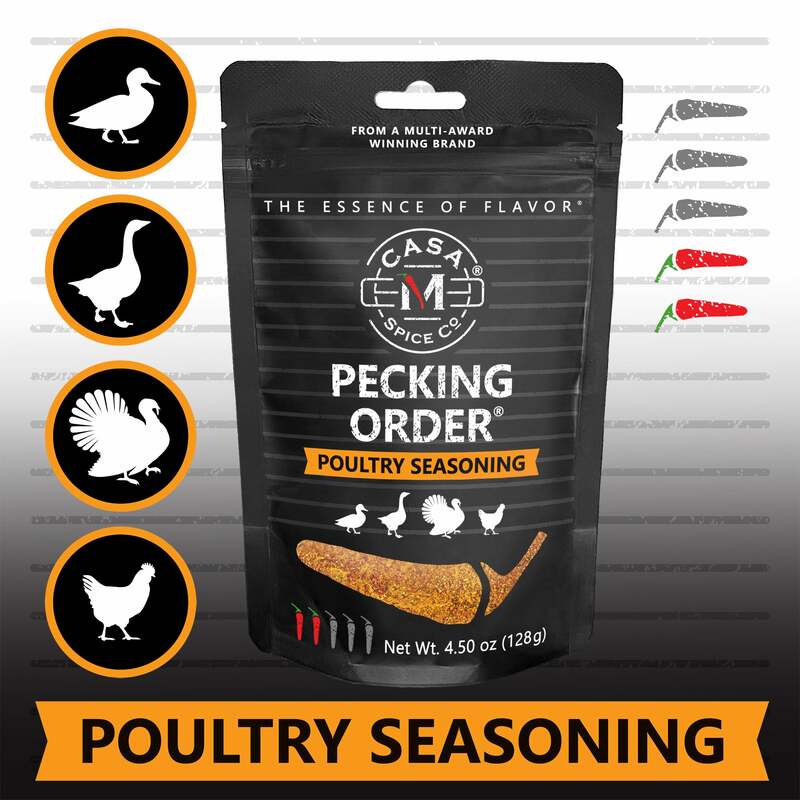 Using your hands, separate the skin from the chicken so that you can season both on top of the skin and between the skin and the chicken. Apply salt both between the skin and chicken and on top of the skin. 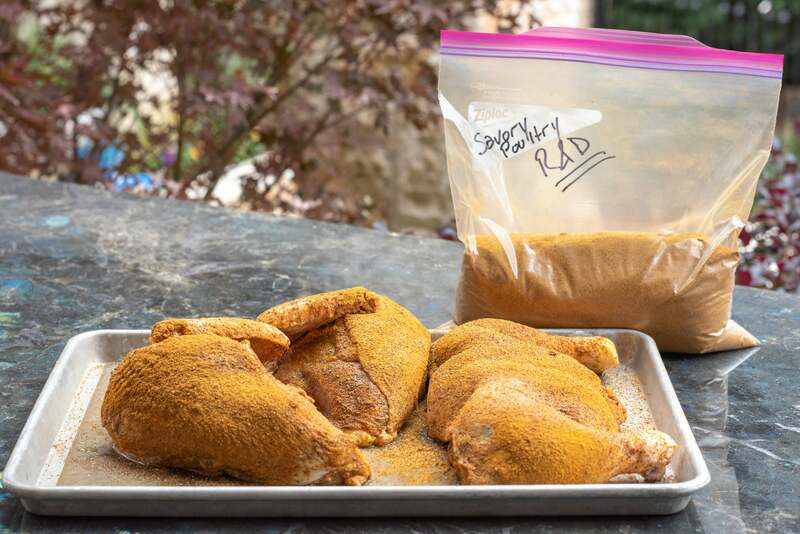 Apply the rub both between the skin and chicken and on top of the skin. During the last 30 minutes of smoking, preheat your grill to medium heat (~400-450F). Finish the chicken on the grill to an internal temperature measured in the breast of 160F. Remove the chicken from the grill and let stand for 10 minutes, then carve up and serve immediately.